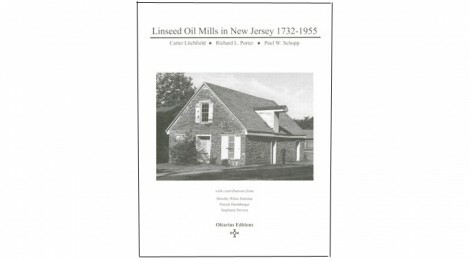 This gazetteer provides historic background on the linseed oil industry and detailed histories of more than 70 mills in the Garden State, which was a center of production during the 19th century. Many of these mills were “combination” mills, manufacturing not just linseed oil but a variety of other products by waterpower, so the book will also be of interest to fans of gristmills, tanbark mills, and the like. Well illustrated. Hardcover, 223 pages. Written by Carter Litchfield [SIA], Richard L. Porter [SIA], and Paul W. Schopp, with contributions from Dorothy White Hartman, Patrick Harshbarger [SIA], and Stephanie Stevens. Published posthumously by Litchfield’s Olearius Press, all proceeds have been generously donated to the SIA by the Litchfield estate.